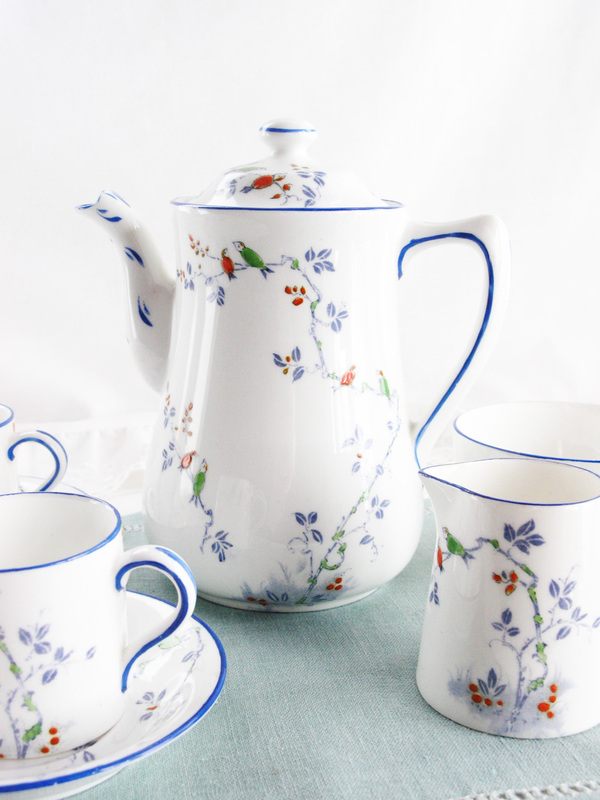 Following on from my previous post about Hudson & Middleton and one of their china brands, Delphine, I thought I’d share some pictures of their other china brand, Sutherland. 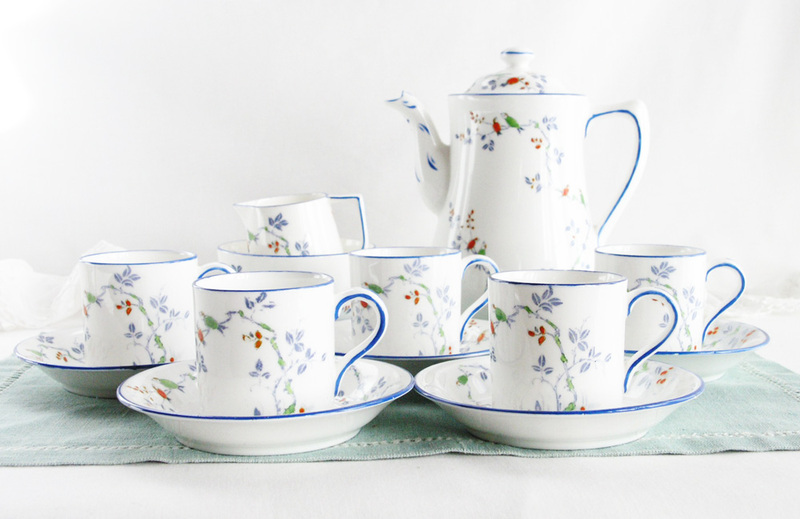 This retro tea set is similar in shape to the Delphine retro set. Instead of green as the base colour it has bright orange saucers that complement the orange and yellow flowers on the cups. All five trios went to Australia to a very appreciative home. We’ve been lucky to find quite a lot of beautiful coffee sets recently and this is our most recent Sutherland purchase. 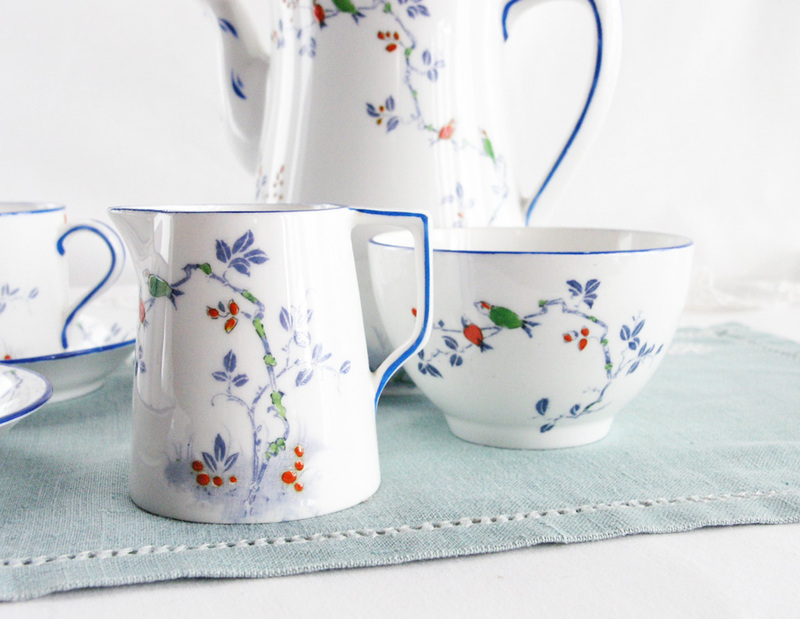 The quality of the china is really lovely as is the painting of the bird in the tree. The slightly bulbous shape of the coffee cups seem to work well with the slender shape of the coffee pot. Even the saucers have been finished to a high standard. It didn’t take long for this set to be bought by a customer in Indonesia. I know I’ve already shown you one coffee set but I couldn’t help but include another one. The coffee cups have a traditional coffee ‘can’ design and unlike the previous set, the coffee pot has a more curvaceous shape. Like the previous set, this set has a bird picture on the pieces but this one has more of a country feel to it with blue edging rather than the slightly more lavish gold edging above. Hope you’ve had a good weekend and have been sampling some tea and coffee this weekend. 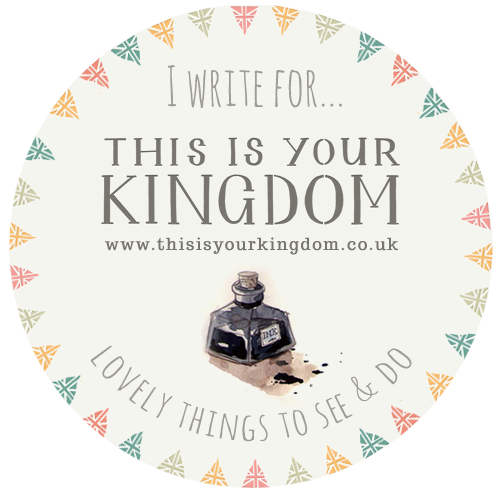 My next post will be my second Taste-tea Tuesday post.